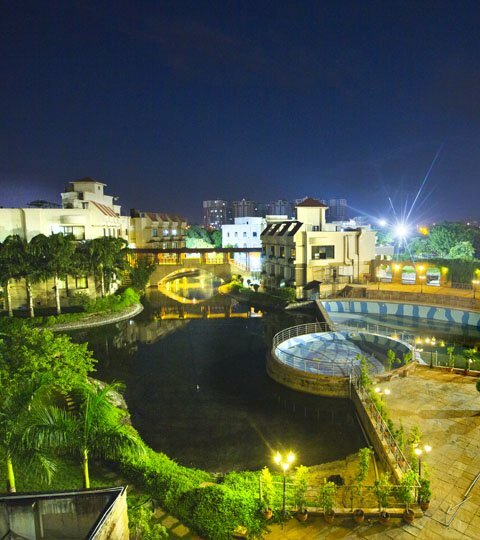 The Stellar Gymkhana is an exclusive ‘Members Only’ club, promoted by the Stellar Group, offering an urban retreat nestled in a 12 acre lush green stretch along the Greater Noida Expressway. The Stellar Group, headquartered in Noida, has business interests in Real Estate and Construction, Hospitality, Information Technology and Edutainnment. The Group is known for delivery on time and for its quality and transparency. Luxury has a new destination – The Stellar Gymkhana. The Club has been designed keeping you and your family in mind, so that you can experience an elegant and luxurious lifestyle among like-minded people. Membership to The Stellar Gymkhana is strictly by invitation. The premises of the Club are for the exclusive use of members and guests. Travelling within the country or overseas for business or for vacation? As a member of The Stellar Gymkhana, one of the many benefits you will enjoy is access to reciprocal privileges across the finest clubs in India and overseas. We have over 100 such affiliations with prestigious Clubs that offer to our members the best of locales, facilities and services. 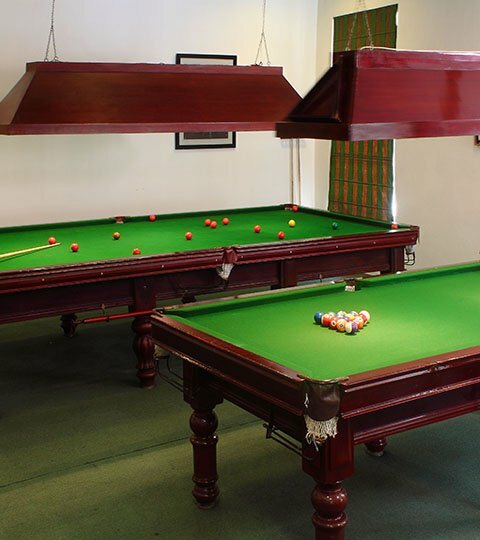 From a few relaxing frames of Billiards to a vigorous Tennis match, The Stellar Gymkhana is home to a dedicated environment as well as facilities for all such recreational activities, and more. A quick yet effective workout is an ideal start to a corporate workday. We also offer to our members and their families an adventure zone for kids, recreational areas with pool, sports facilities like tennis courts, badminton and squash courts, and a spa with steam and sauna. Overlooking our beautiful lake, the luxurious rooms at The Stellar Gymkhana have been designed specially to help you unwind and enjoy. With their contemporary style and upscale décor, the rooms also boast large glass windows that bathe their interiors in natural light, and frame dramatic views of the lake, the swimming pool or rolling lawns. Our Restaurant serves excellent food prepared by proficient chefs. The bar at The Stellar Gymkhana provides a variety of Indian and Foreigner liquors in an ambience that enchances the pleasure of drinking in solitude of with friends. 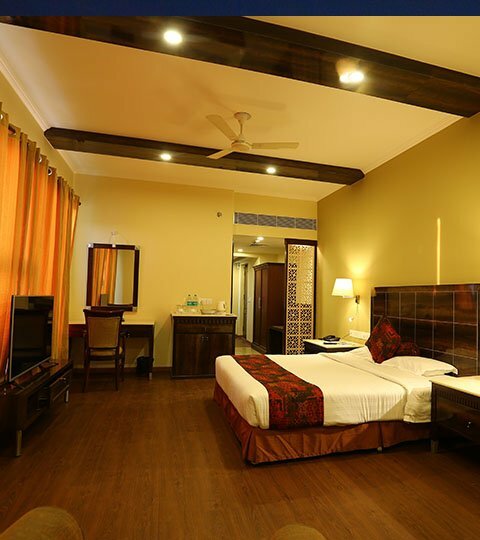 We have dedicated environment and facilities for all recreational activities along with well designed Squash Court. The Stellar Gymkhana is an ideal venue for business meetings, presentations, product launches, team building activities, cocktail dinners and fine dining. In addition there are ample outdoor activities to help you relax after a hard day of boardroom brainstorming. With lavish food spreads and spacious seating arrangement, The Stellar Gymkhana is a perfect destination for hosting various types of events. Our rolling lawns can comfortably accommodate 1500 persons, while our large indoor venues – the Banquet Halls – can easily cater to functions for up to 500 persons. 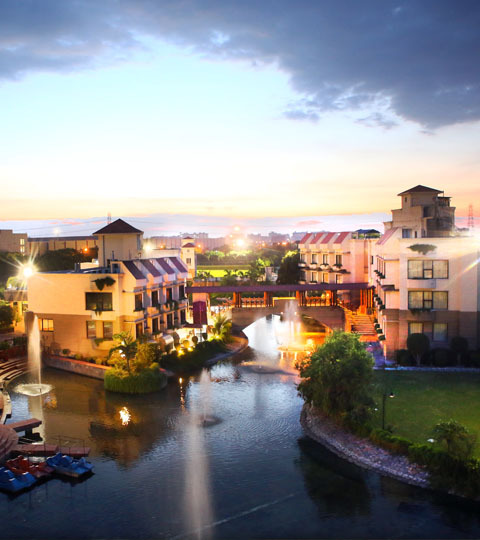 "Royal style destination wedding destination"
"A Hidden Delight at Greater Noida!" " Thank you for everything in Mr Singhal's sons marriage. Everything was superb above all the concept and the details and personal care. I congratulate Stellar and the team." " Thankyou very much for the wonderful catering yesterday. The Stellar Gymkhana team had made very impressive arrangements . Thanks "
"I stayed with my family at Stellar Gymkhana with reference from one of their members. The property and the value additions are totally out of this world. I would say the property and facilities are more than a 7 star hotel that we have used before. This is to thank you and express you our gratitude. We had one of the fabulous holidays there. Thank you once again." "We hosted a party at the Club on the 14th last Saturday. It was THE BEST event - such fabulous food, phenomenal service n courtesy, outstanding team work. Special thanks to service & the kitchen personnel." "Every time we have hosted something at the Club it has always exceeded expectations n that's a tall order. Consistently outstanding. Kudos to you n your team. Superb effort." “Thanks a lot for making our reunion a memorable one. The memories will always remain and specially the effort put in by the staff by taking care of the minutest requirements for all of us. We didn’t feel as we were away from our home and dear ones. Thanks once again." " Hi ! , I am @ the Club after a long time & I am very proud of your work. Excellent drinks, superb food. Good Luck !!!! " 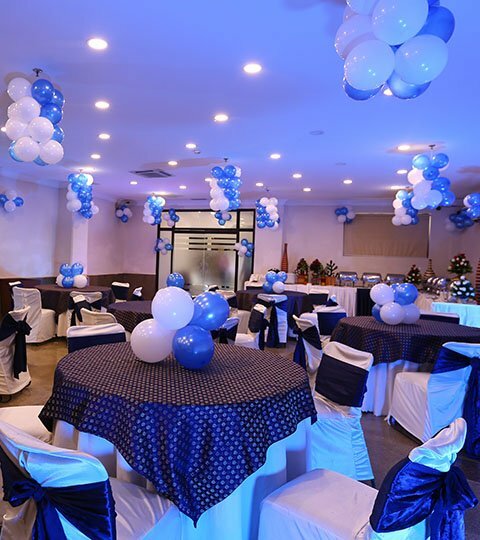 " Went to our Club The Stellar Gymkhana last nite to Hv a quiet dinner for our sons bday and must congratulate... D food was awesome...three of us said... everything is just so perfect".. Loved it !!! " "The food was extremely wonderful. Highly appreciated. My cousin has insisted that we bring him here again for dinner." "13 years of using the Club and it still feels it was built for me. I remember the first few years, we used to be almost only ones using pool and restaurant. Now with our kid in the museum and still exclusive. Btw, time absolutely flies! " "I thanked you so profusely then for the wonderful function hosted by you. I still feel thankful. All my guests also remember it fondly. Let me again express my gratitude to you and the Club. You may also appreciate that I have been one of the great fans of the Club since I became a member. " "Amazing food tonight. Finger licking good. My compliments to your chef. " "Thank you very much for the wonderful out door catering experience at our premises. The team had made very impressive arrangements." Thanks.